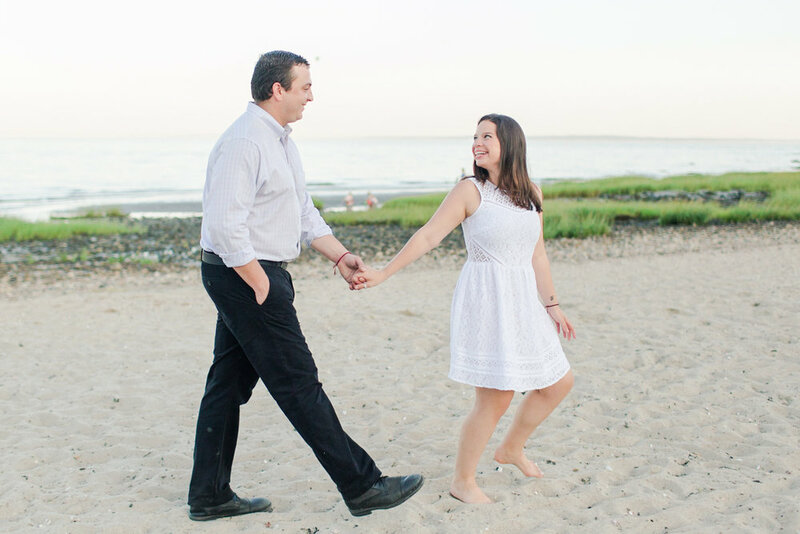 I think Jacqui and Avery bring good weather with them wherever they go; we lucked out with a beautiful evening for their Boothe Memorial Park engagement session in Stratford last November, and an even more beautiful summer day for their wedding! 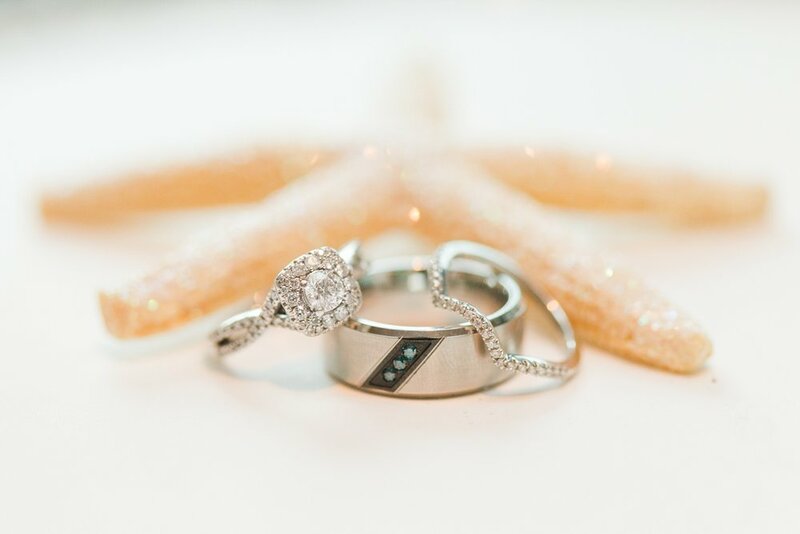 They were married on a beautiful day in early July, surrounded by their family and friends. 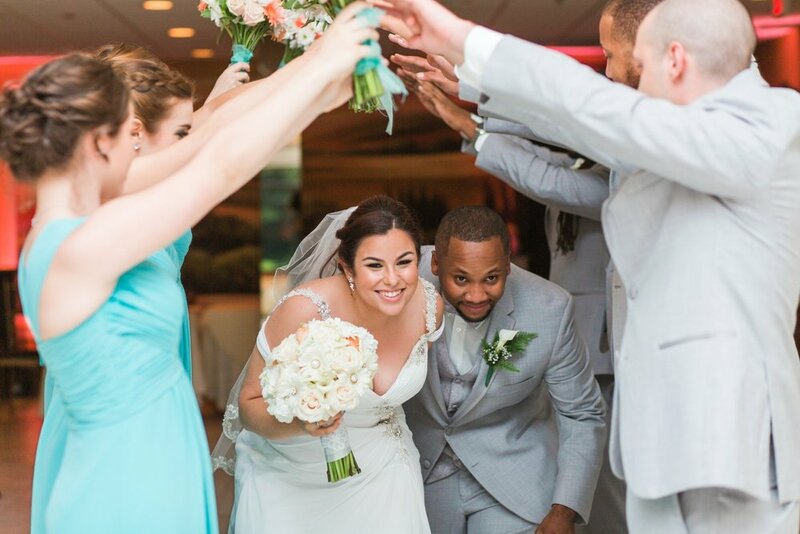 Their beach-themed wedding was a perfect compliment to the summer vibes of their day at Tashua Knolls in Trumbull, Connecticut! 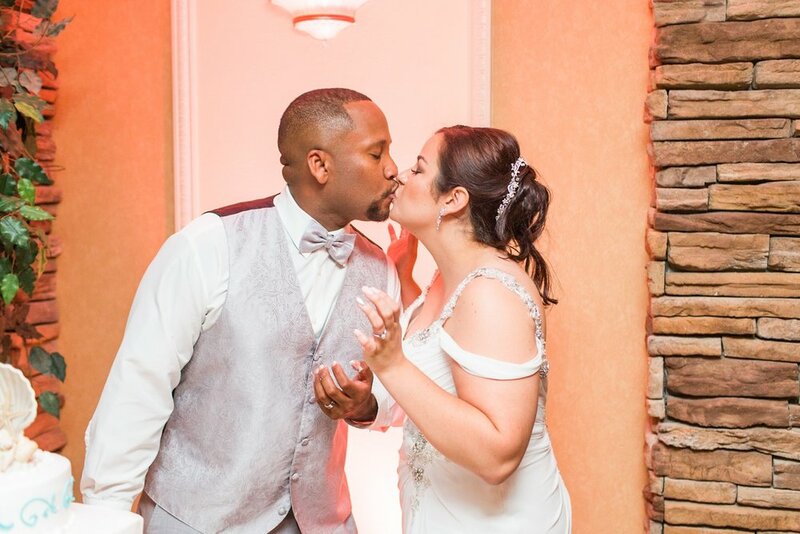 Jacqui and Avery met when they were both students at Sacred Heart University in Fairfield, Connecticut. It was Jacqui's first week of her freshman year and Avery's first week of his junior year when they both attended a meeting for the school's student-run theater group. Avery was one of the executive members, sitting at the front of the room as the new members walked into the meeting room. Over time, this group became a second family to Jacqui. She landed the lead role in her first show, in which Avery played the part of her best friend! A year passed by and the two remained friends. The theater group had grown quite large and was now part of the Theater Arts Program! The first show that semester was Rent, the story of a group of people who share so much of themselves with each other. Avery was set to play a lead and Jacqui a smaller role. That was the first time she had ever heard him sing and she was totally taken aback by his talent! Being an incredibly talented singer herself, Jacqui swooned over Avery and the play for the next six days anytime she heard the song! That May, Avery graduated and returned to his hometown of Mount Vernon, New York. Despite the longer distance than they were used to, Jacqui and Avery stayed in touch and continued to make time to visit each other that summer. When September arrived, it was the start of Jacqui's junior year. She and Avery had been hanging out with a group of their friends. When he walked her out to her car that night, it was obvious Avery had the same feelings towards her that Jacqui did towards him! After two years, they finally became official!! 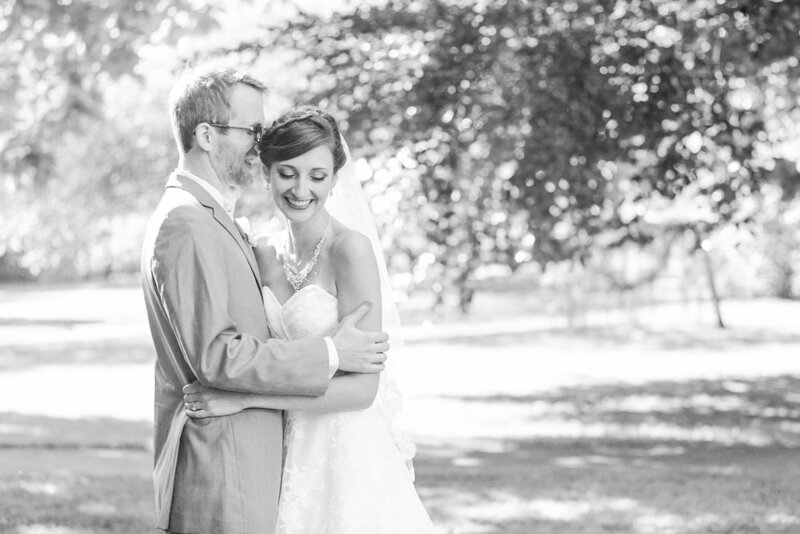 Jacqui and Avery's wedding day was one of my favorites of the summer! 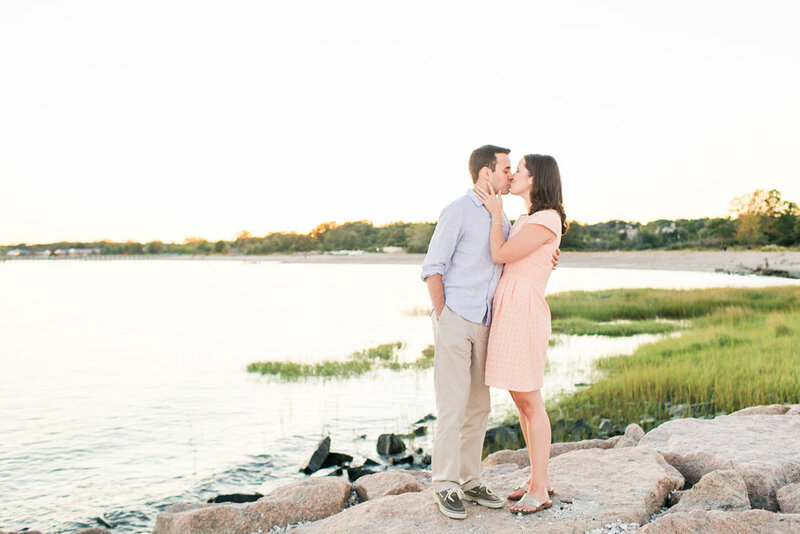 I adored the vibrant colors they chose for their color palette to match their beach theme. 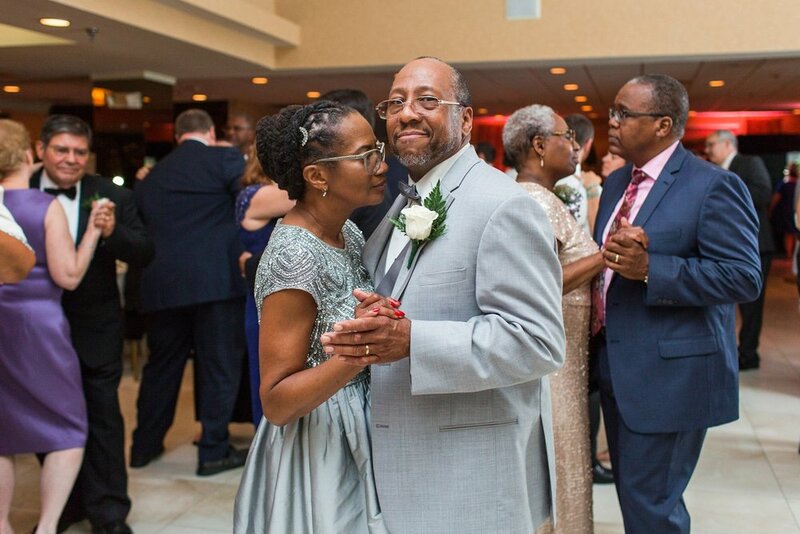 Jacqui and her dad shared a Father-Daughter First look, to which he had one of the sweetest reactions I've ever seen! As soon as the DJ opened the dance floor, it remained packed all night. 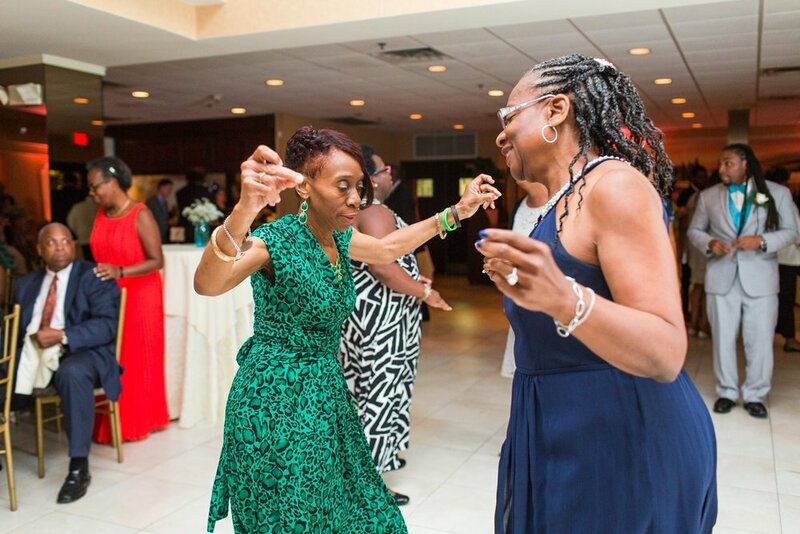 To say Jacqui and Avery's wedding guests were a fun bunch would be an understatement!! Congratulations Jacqui and Avery! Wishing you lots of love for many years to come! 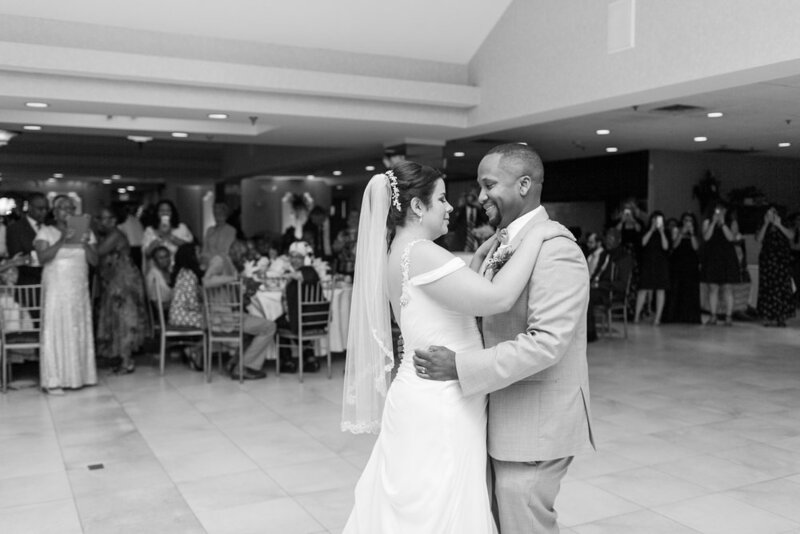 I loved this sweet moment between Jacqui and her dad during their Father-Daughter First Look! 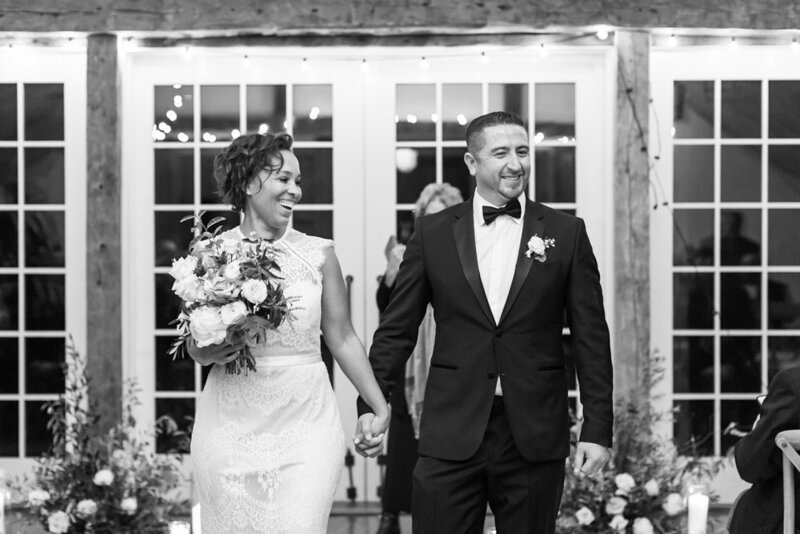 Though I love when my couples opt to do a first look, I also enjoy seeing the look on a groom's face when he sees his future wife walking down the aisle! Look at those "we're-finally-married!!" smiles! 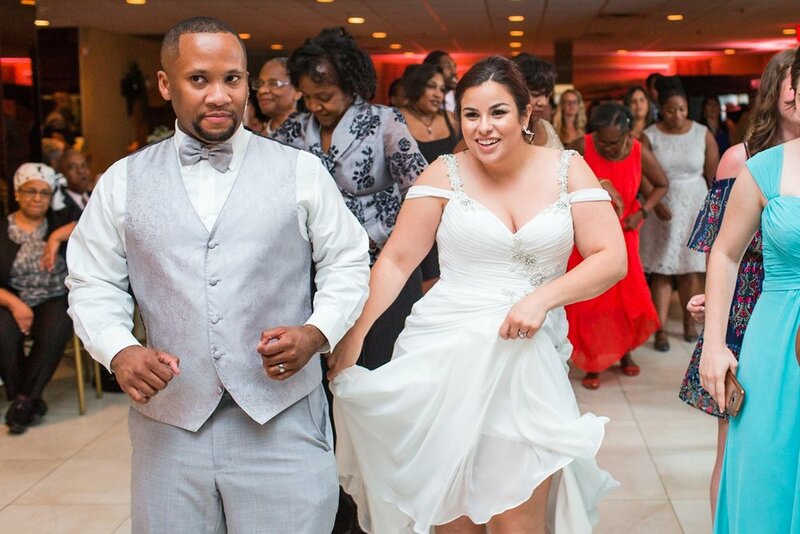 Jacqui and Avery definitely know how to make an entrance! 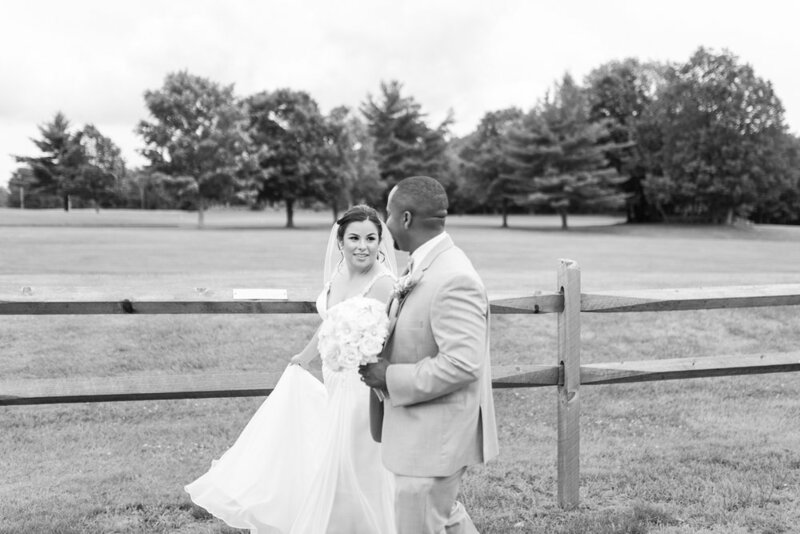 I hope you enjoyed this Tashua Knolls wedding! Do you know Jacqui and Avery? Show them some love by commenting below!